MN Agriculture - Hormel, "Originate, Not Imitate"
Day 15 of my 30 Days of Ag, “All Things Minnesota Agriculture” is a company that has been in Minnesota since 1891, Hormel Foods. I am hoping to share with you some things about Hormel that you may not be aware of. In addition, Hormel’s motto, “Originate Not Imitate” is the leading vision behind this Minnesota company. Hormel Foods Corporation was founded by George A. Hormel in 1891 in Austin, Minnesota. George A. Hormel’s motto was “originate, not imitate.” His vision to lead is the reason why Hormel is what it is today. Hormel is engaged in the production of a variety of meat and food products. Although pork and turkey remain the major raw materials for Hormel products, the Company has emphasized for several years the manufacture and distribution of branded, value-added consumer items rather than the commodity fresh meat business. The company employees more than 20,000 employees. The Company’s business is reported in five segments: Grocery Products, Refrigerated Foods, Jennie-O Turkey Store, Specialty Foods, International & Other. They sell it’s products in all 50 states, as well as internationally. For a complete list of Hormel products, check out this link. We raise pigs for Hormel. We own our pigs and sell them to Hormel. What does it mean to raise pork for this company? Since we started farming in 1978, we have always sold our pigs to Hormel. I can attest they have high standards in their meat quality. They will only buy high quality pigs. What happens if a pig has a leg limp? The pig gets sold to a secondary market, where we receive significantly less money. Hormel only wants the best. That’s why we work very hard on our farm to raise the best pigs we can. What does Hormel mean for the town of Austin, MN? Hormel does more for the town of Austin (population about 25,000) than you can imagine. Hormel is Austin. They continually give back to the community in many different ways. Recently, Hormel Foundation donated $3.3 million dollars to help pay for tearing down a dilapidated mall to make way for a new HyVee store. They have designated $6.1 million for the Austin community for 2014. This is part of the reason Austin, a rural community, is diverse, thriving and growing. The majority of the foundation’s funds go to fund the Hormel Institute. And what is the Hormel Institute . . . Yes, you read that correctly. the Hormel Institute conducts cutting-edge research known worldwide that focuses on discoveries leading to the prevention and control of cancer. 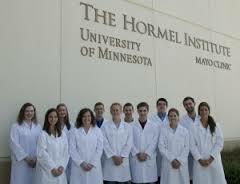 The Hormel Institute was created in 1942 as part of the graduate school at the University of Minnesota, The Hormel Institute is now a major research unit of the University, employing some of the world’s leading cancer research scientists. The mission of The Hormel Institute is to conduct research and provide education in the biological sciences with applications in medicine and agriculture. Milestone discoveries include the coining of the terms omega 3 and omega 6 fatty acids as well as the anti-cancer benefits of compounds in ginger and green tea. And they are expanding. In May 2014, they broke ground for the next major expansion of The Hormel Institute. The Hormel Foundation has committed $23.5 million towards this expansion, which includes not only the building but the recruitment of scientists to fill the labs. Yes, we need to talk about Spam (and not the garbage you get in your email inbox). 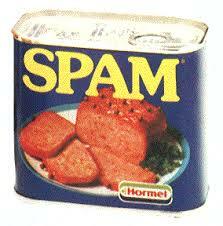 Spam was introduced to the world in 1937. Between 1941 and 1945, more than 100 million pounds (more than half of Hormel’s spam output) were sent to troops during World War II. There is a Spam museum, which talks about the history of Hormel and Spam. The Spam Museum is closed currently, but will reopen in 2016. The museum is moving to the downtown area of Austin. So, what is spam? Ham and pork shoulder, salt water, potato starch, sugar and a tad bit of sodium nitrate. That’s it. Six ingredients comprise the makeup of spam. Did you know there are 23 varieties of Spam? You can check out recipes using Spam or visit the Spam on-line store. Yes, Hormel is important to Minnesota’s agriculture. 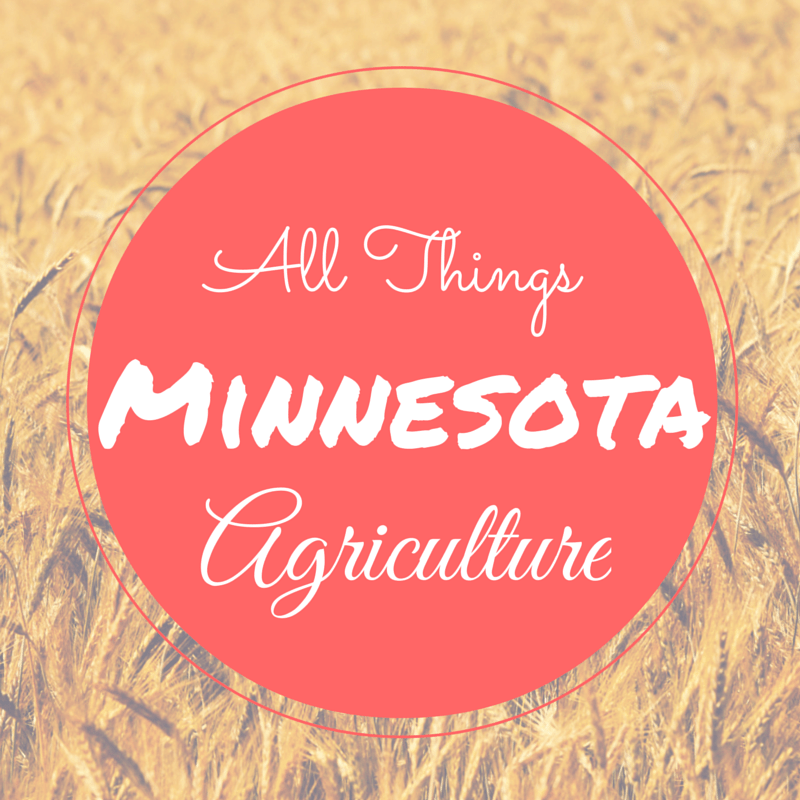 Interested in my 30 Days of Ag “All Things Minnesota Agriculture” other features? You are welcome Carolyn! They are a great company! Where is your closest Hormel buying station? That’s how we hit started.